Modern openers are complicated electric units, which control the movement, security and speed of the garage door. They can be connected with various sensors and recent technologies allow their control via computers and smartphones. 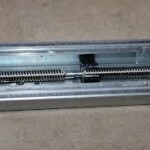 Among the main motor types, the screw drive garage door opener is an excellent choice for the residents of Ontario who don’t want to spend too much money but don’t want the loud noise of the chain drive either. 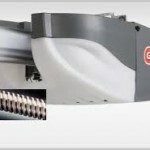 The power and condition of the garage door openers are very important for the proper movement of the door but their efficient operation would also depend on the condition of the other garage door parts. The screw drive motors do not have too many parts and are easy to maintain. The technicians of Homeland Garage Doors Toronto have a special knowledge on openers and can help you choose among the different types. They specialize in the screw drive garage door opener repair and replacement. Our equipment is the best in Toronto and our experience is required for the detection of problems and proper repairs. We offer thorough garage door opener troubleshooting and can diagnose problems with your opener because we care to prevent problems as well as solving them. The opener of each mechanism is important because it is associated with your safety, convenience and security. These are the basic reasons we are dedicated to our work, keep investing in our infrastructure and make sure your screw drive opener works properly.